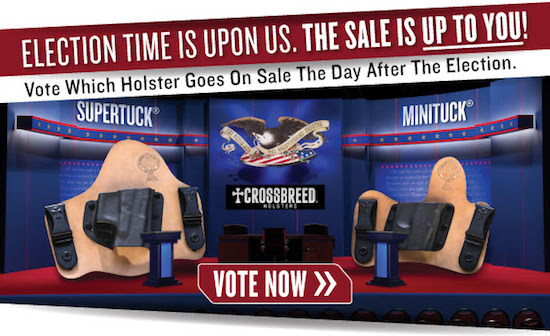 CrossBreed Holsters Needs Your VOTE! 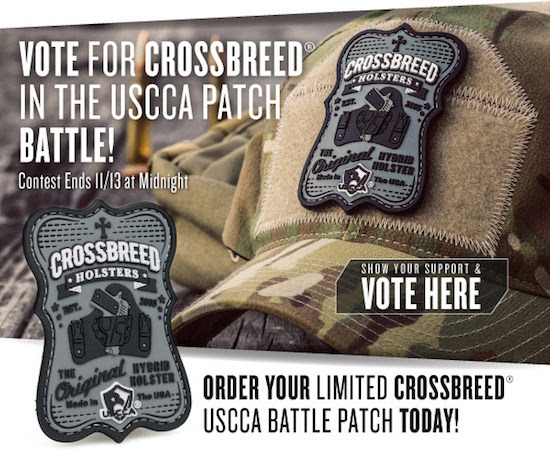 CrossBreed is competing in the USCCA Morale Patch Battle and needs your vote to help them secure a win, so make sure to click the “VOTE HERE” button above to vote! 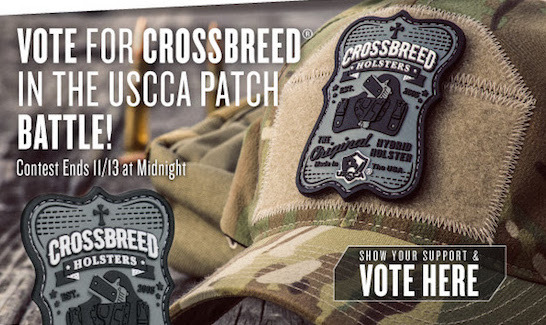 Like CrossBreed’s Limited-Edition USCCA “The Original” Patch? CLICK HERE to order one. There is still time to help your candidate win! You have through 11/8 to vote for your favorite CrossBreed® Holster in our Holster Poll. The winning holster will go on sale starting 11/9, so make sure to click above to vote for your favorite!